It is an unconventional aspect ratio to represent a motion picture, using sources taken from different media, in an axis-aligned polygon enclosed inside a conventional aspect ratio screen; for this reason, it was previously known as Axis-Aligned Polygon Aspect Ratio™ (AAP A/R). prologue: DON’T (always) TRUST COMPANIES! Following many HDTV and internet broadcaster advices, a “studio quality” transmission for an H.264 1080p transmission could be achieved with a bitrate of a mere 6mbps; if we use the Kush Gauge formula, we can see that this is true only if the motion factor is lower than medium… for 16/9 sport material at 29.97fps, for example, a 17.4mbps bitrate is needed! 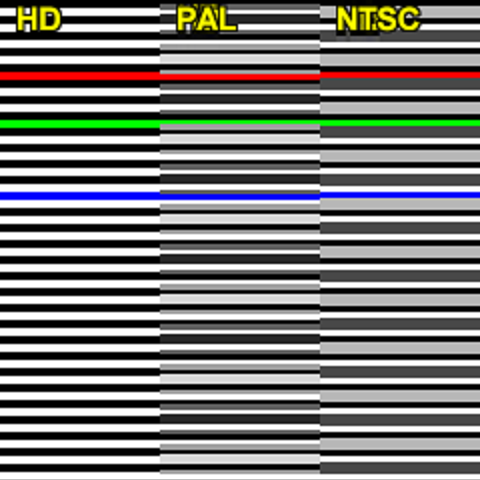 To calculate video bitrate for a codec different from H.264, the Kush Gauge costant value should be changed accordingly to the codec used.